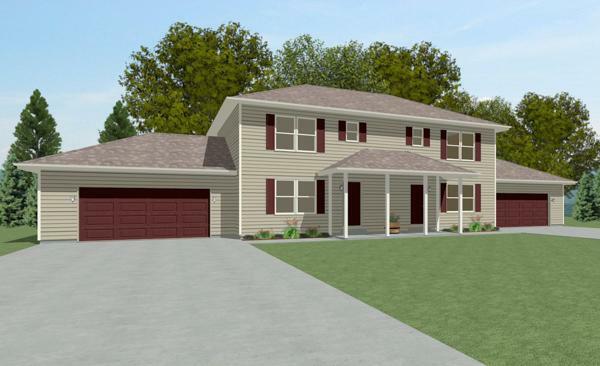 The model #2630 Duplex has it all. 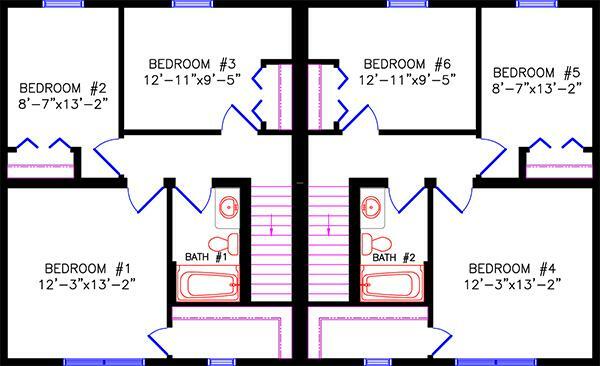 This 46' long two-story is designed for luxurious family living. 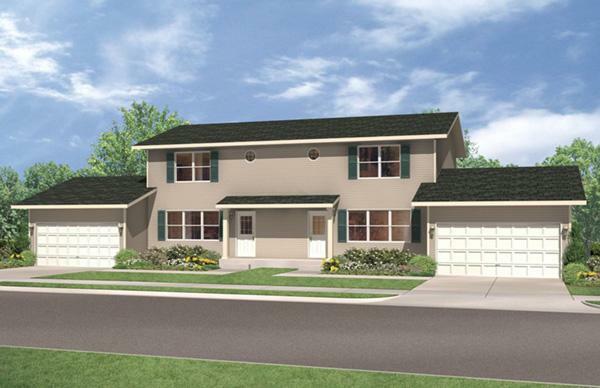 Each living area boasts three comfortable bedrooms, 1 1/2 baths and a huge dining area. Each master bedroom comes complete with a walk-in closet. The kitchens are each detailed with plenty of pantry and storage space as well as a sizable snack bar. 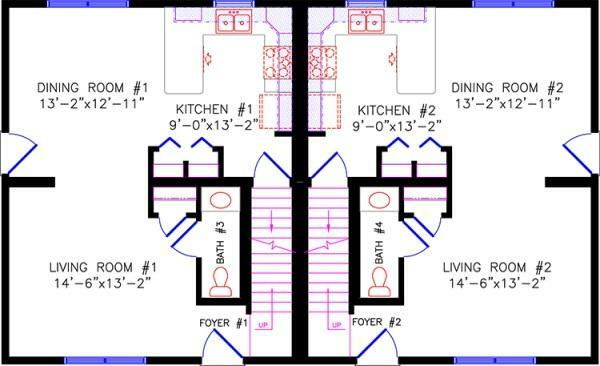 This Duplex layout conforms perfectly in the country and in a residential neighborhood.